The “Progress Paradox” or “Positive Paradox” of our current era is that, although our Earth dimension is on a positive time line, Earth’s current bloodline Elites, Negative dimensional entities, Matrix institutions (Governmental forms, Religions; Central Banks), and War & Addiction industries are acting out operational plans that seem based on a false negative timeline, or an actual catastrophic timeline that is occurring in some other dimensional timeline than the positive timeline Earth is demonstrably on. Although humanity has every objective reason to be optimistic about the future, large segments of humanity still reflect this Matric power focus on a false catastrophic timeline. According to an April 14, 2014 Ipsos survey, In the West, 42% vs. 34% people feel pessimistic about the future, despite the objective scientific reality that humanity is on a positive timeline. China, India, Brazil, Turkey and Russia are more optimistic than pessimistic for their young – but all other countries are more likely to think things will be worse rather than better. Yet time science demonstrates that our Earth civilization is traveling on a positive timeline within our time space hologram. And time cosmology analysis demonstrates that Unity consciousness (“We are One”) is the dominant universal consciousness frequency broadcast, as of December 21, 2012, through the singularity – interdimensional portal – at the core of the specific Universe in which we are based. Catastrophic duality consciousness (“I win, You Lose”) fostered by these Matrix Elites, Negative dimensional entities, and Matrix institutions can no longer can control and thrive on our current positive timeline, as a matter of density and dimensional frequency and time science. 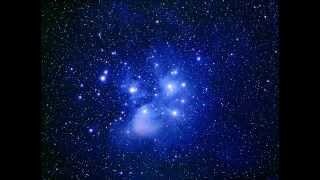 Duality consciousness is “Service to Self” and cannot survive in our new Universe consciousness density frequencies. It is now “time” for the positive timeline to be acknowledged as a scientific reality, and for our individual and collective to transform consciously as a critical mass of ethical humans awaken to the reality of the positive timeline. If you resonate with the positive timeline in synergy with Unity consciousness, you are encouraged to share these insights with others privately and publicly, your family, friends, networks. Together we can build that critical mass of awakened humanity that acknowledges and collective shifts to being in a reality of a positive timeline Unity consciousness (“We are One”) as the new norm. All you have to do and all we have to do is change our minds, and the positive timeline follows, as a matter of science. One of the early key discoveries of time science is that our own universe of time, space, energy and matter contains, and is composed of time-space holograms, and may be considered itself a time-space hologram, created by a higher intelligence and composed of parallel time lines. Humanity is based inside a virtual reality composed of multiple, parallel timelines. In simple 3D-3rd density terms, one can visualize timelines in a time-space hologram as parallel lanes of a multi-lane highway. As a collective consciousness, humanity can find itself on a changed timeline from a more catastrophic lane (global coastal flooding event) to a more positive lane (landing a Utopia on Earth). Catastrophic timelines (lanes in the highway) that may have been foreseen through technological time travel (chronovision), scientific remote viewing, or psychic remote viewing can fail to materialize as humanity finds itself on a positive timeline. The Italian March 8, 2014 article relies on my 1974 book The Age of Cataclysm that was a first book to integrate modern earth sciences with parapsychology and analyze the remote viewing predictions of psychic Edgare Cayce of a global costal flooding event occuring on Earth early in our 21st Century. A global coastal event may be triggered by a variety of astronomical events causing massive tsunamis and earth changes having catastrophic effects on human civilization such as the global coastal event destroying Earth’s great maritime civilization (Atlantis), caused by the solar system catastrophe of 9500 BC when a fragment of the supernova Vela entered the solar system. In the course of research on potential impending transitional changes during the 2012-13 time horizon, I identified in 2010 what can be described as two parallel realities, each buttressed by independent sets of data and personal and institutional decisions – a 2012-13 catastrophic timeline and a 2012-13 positive future timeline. The two parallel 2012-13 timelines were quite opposite in nature. The cataclysmic timeline envisioned 2012-13 as a time when the Earth is hit by destructive “solar flares, large meteors, tsunamis, world-wide coastal inundations, mega-catastrophe.” This was congruent with the Edgar Cayce remote viewed global coastal event, as well as hermeneutic interpretation of prophecies of Earth Changes. As evidence of a possible 2012-13 catastrophic timeline, researcher Dr. Courtney Brown pointed to the results of a recent Farsight Institute remote viewing study of global climate change 2008 – 2013. Expecting to find marginal effects of global climate change on coastal areas in 2013, Dr. Brown reported instead remote viewers found a catastrophic 2013 timeline, and a global coastal event for June 2013 that devastated global coastal cities, with the U.S. Capitol in Washington, DC under water. In a remarkable coincidence (or synchronicity), both the Farsight Institute and a chronovisor probe in the early 1970s by DARPA’s Project Pegasus chose archetypal targets in Washington, DC right across the street from each other. Project Pegasus chose to view the U.S. Supreme Court building in 2013 via chronovisor and Project Pegasus participant and whistleblower Andrew D. Basiago “found that the Supreme Court building was under 100 feet of stagnant water” in a chronovisor probe. U.S. chrononaut Basiago adds, "There were second, third and fourth dimensional chronovisors. I went to Washington, DC in 2013 bodily. They poured water out of my boots. That particular chronovisor was not a screen or a template. It was a cube of light in the nature of a time-space hologram that enveloped us with the result that we physically went to the time-place they had tuned in." The chronovisor was originally developed by two Vatican scientists in conjunction with Enrico Fermi and later refined by DARPA scientists. The 2010 Farsight Institute probe targeted the U.S. Capitol building in 2013, and some remote viewer reports viewed the U.S. Capitol in ruins along side deep water. The June 2013 global coastal event predicted by Edgar Cayce remote viewing, 1971 DARPA chronovisor probe, 2010 Farsight Institute probe in fact occured in another timeline dimension, according to Dr. Courtney Brown, director of the Farsight Institute. In a video update, Dr. Brown concludes that 15 February 2013 meteor event over Russia, the largest since the Tunguska event, coupled with the close approach of the roughly 50 metre asteroid 2012 DA14 that occurred about 15 hours later may constitute the meteor or asteroid event referenced in the Farsight Institute study, which predicted a global coastal event destroying most coastal cities on the planet in June 2013. Dr. Brown states he does not expect any other meteor or coastal event between February 16, 2013 and June 1, 2013 based on the Farsight study. Dr. Brown refers to the holographic nature of reality and to the his remote viewers having possibly viewed a global coastal event happening in June 2013 on Earth in some other timeline or holographic version of Earth or parallel universe. Dr. Brown's interim update appears to suggest that Dr. Brown does not expect any other meteor or coastal event between February 16, 2013 and June 1, 2013 and that the Farsight Institute report states that no global coastal event caused by Planet X can be expected through June 1, 2013. U.S. chrononaut Andrew D. Basiago writes that the 1971 DARPA probe was actually to an alternative catastrophic time line. He states, "We are now starting to discover why the global coastal flooding event that I saw when DARPA sent me to 2013 via chronovisor in 1971 didn't eventuate on this time line. NASA is now reporting that in 2012, a solar flare almost destroyed Earth. According to my source to the secret US agency the Department of Physicists, had the huge solar flare occurred six to seven days before it did, when the Earth was one degree of tilt in another position, it would have "wreaked havoc" on Earth. Apparently, the probe I was involved in at ITT Defense Communications in Nutley, NJ on November 5, 1971 for the Office of Naval Intelligence took us to an alternate time line where the devastating effects of such an event in 2012 were evident in 2013, including Washington, D.C. being 100 feet under water." Dr. Courtney Brown's February 16, 2013 interim update on the Farsight Institute report and Andrew D. Basiago's conclusions regarding DARPA's 1971 chronovisor probe of 2013 appear both to conclude that the respective catastrophic timelines viewed in each study are not the actual (non-catastrophic) timelines that Earth is actually experienceing in 2013. As stated, Matrix Elites, Negative dimensional entities, and Matrix institutions (Governmental forms, Banks, Religions) appear to be operating from (1) duality consciousness (“I win, You lose”), (2) to create a false catastrophic timeline and thus attempt to maintain hegemony over Earth and humanity. Using the primary playbook of the False Flag Operation, the Matrix powers appears to be employing an End Times script, ecocide, and depopulation through Weather Warfare; Tectonic Warfare; Biowarfare (Ebola; GMOs; Chemtrails; Famine); World War III memes; Negative dimensional warfare; Religious warfare; and other means. These efforts cannot find a stable dimensional reality along the positive timeline and have an increasingly short shelf life in the minds of a humanity that is now bathed in the universe, galactic and solar waves of Unity consciousness. In 2012-13, Dr. Carl Joseph Calleman, an expert on the Mayan concepts of time and cosmology, stated in an interview with me, “the universal alternating energy wave movements end, and Earth is set on a gradual setting of a potential to reach advanced utopian planet status – a virtual ‘Garden of Eden’”. Likewise, the interdimensional portal or singularity at the center of our galaxy (our galactic center ‘black hole’) modulates this universe consciousness energy wave as well. This is, by any standard, exceedingly good scientific news. Universal, alternating energy wave movements have been a feature of our universe, says Dr. Carl Johan Calleman, since the Big Bang, and it is these wave movements that have shaped the nature of consciousness in our universe over the past 18 billion years. What, you may ask, does this universal wave of unity consciousness have to do with you or your reality? The wave of unity consciousness – like all universe energy wave emanations, creates the ‘meme’ or story content of our personal and our collective reality. Dr. Calleman’s discoveries are suggesting that our highest thoughts and ‘memes’ are/may in fact be sourced from the energy waves of the universe singularity, mediated through the galactic singularity – the black hole at the center of our galaxy the Mayans called Hunab Ku. The singularity of our solar system is Sol, our sun - a dimensional portal to other galaxies, according to physicist Nassim Haramein. These universe singularity energy waves serve as carrier waves of ‘the universe’s mind and spirit software’ - the way that the intentional universe (some call it source, the ‘sea of Light’ or God) lets us know of its intention for consciousness in the entire universe. As a practical matter, does it matter if you are tuned in and commit to Universal consciousness universe energy wave of unity consciousness? Yes – the universe energy waves we humans tune in and commit to determine our planetary status and how we reach our potential as a planet. The good news is that our universe singularity is now emanating ‘utopia’ consciousness waves on its alternating energy carrier waves. The “Positive Paradox” is although that Earth is objectively and scientifically on a positive timeline in a field of Iunity Consciousness, the more humanity as a critical mass fully internalize and acknowledge this reality, the more it manifests. The term ‘conscious’ is used in Unity Consciousness to emphasize how important individual commitment to achieving unity consciousness is. There are many modes of expression in many Earth cultures of on how to create a platform for humanity on Earth to awaken and thrive along the scientific reality of our new collective positive timeline. Here are some suggested collective actions and policies for this platform. Your suggested collective actions and policies are welcome. You can submit your suggested collective actions and policies via any of the channels linked to below. Truth & Disclosure - A full public disclosure of the presence of intelligent civilizations in Earth’s environment and a global referendum as to whether and on what conditions humanity should enter into relations and space travel, space colonization, space governance, with organized intelligent universe, multiverse, and Omniverse society. 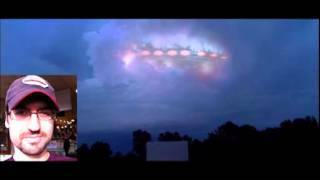 New Energy, Teleportation & Time Travel - A full public disclosure of secret (new energy, zero point, free, antigravity, exotic) new energy sources now available for application on Earth. Public implementation and rollout of sequestered of free energy technologies for powering dwellings, human settlements, industry, transport and propulsion, communication and many other areas. Implementation of teleportation as a global, national, regional and local transportation system, replacing polluting fossil fuel vehicles (trains, buses, trucks, autos) and their intensive land use in highways, railways, and urban freeways, as well as of a regulated time travel public education program. Recognition of Animals as sentient beings with rights - Worldwide grant of personhood rights to animals with concomitant rights against murder, slaughter, torture, and cruel and inhumane treatment. Special intelligent civilization status for cetaceans including whales and dolphins. Development of healthy, safe, tasty protein meat substitutes for humanity's consumption and nutrition. Secure Online Direct Democracy at the local, regional, national, and global level - Secure virtual technology now permits the implementation of Swiss canton democracy worldwide. There is no more need for intermediaries such as City Councils, State or Provincial Legislatures, National Parliaments or Congresses, or even, ultimately in time, a gathering of nations such as the United Nations. Experience over the centuries has shown that the powers that be buy off all intermediaries. Direct virtual democracy adapts secure virtual technologies and provides virtual hack-proof citizen voting at the municipal, provincial/state, regional, national, and world level. Under direct virtual democracy, the entire city votes on municipal laws; the entire nation votes on national laws; the world population votes on global standards, all duly informed by government staff at the respective local, national and world level. Municipal Government, for example, is tasked with efficiently picking up the garbage and managing the city according to the laws passed by local virtual democracy. Reinvention of money as a human right and public utility like air, water or electricity available for creative investment at public money utilities. A global ban on privately controlled central banks like the “U.S. Federal Reserve System” and on privately owned commercial banks. Support of complementary currencies. Licensing of consumer cooperatively owned banks. Imposition of heavy criminal penalties for violation and astronomical fines, for individuals, organizations, and nations. Social guarantees in the form of annual income, health care, and elementary, secondary, and post-secondary education for every person on the planet, for life. Funded by universal state pools, tax on all financial transactions and by post graduation contributions to education plan, and more. Implementation of traditional and alternative, as well as advanced extraterrestrial medical technologies. World Debt Forgiveness – Global forgiveness of all public and private debts – a world bankruptcy for a bankrupt system and an end to the debt – fiat money prison system. Criminalization of charging interest on money and of fractional reserve lending. Disenfranchisement of the state power of monarchies and religions worldwide – The UK monarchy and the Vatican are examples of the abuses that occur when two institutions based on non-democratic principles (Divine Right of Kings and Popes) are given established state rights in a modern democratic world. Criminalization of the war industry - A criminalization of and global ban on war, genocide, and depopulation in all its varied forms, overt and covert. A ban on war as a dispute resolution method. A permanent ban on the design, production, or sale of weapons systems, including nuclear weapons, space-based weapons, and conventional weapons. A permanent ban on the maintenance of offensive armed forces. Imposition of heavy criminal penalties for violation and astronomical fines, for individuals, organizations, and nations. Criminal Prosecution and Conviction of War Crimes Racketeering Organization and Restorative Justice for War Crimes Victims - Criminalization and rigorous prosecution of the international war crimes racketeering organization for a planning and implementing a genocidal depopulation program, including (and not limited to): (a) planning and triggering wars and armed conflicts through false flag operations; (b) regional and global radiation genocide and ecocide through depleted uranium (DU) and the nuclear agenda; (c) planning and implementing environmental war attacks including geo-engineering, weather warfare, HAARP, chemtrails, and scalar weapons robotization and genocide of humanity, famine, vaccines, GMO foods, DNA manipulation and more; (d) Carrying out a program of assassination and Cointelpro terror against activists, researchers and social inventors in the multiple areas of peace research; new energy; food and nutrition; radiation; democracy and electoral politics; (e) Carrying out as DOPE INC. a lethal, 300 hundred year old conspiracy to addict humanity to narcotics and to criminalize useful substances such as hemp for profit and enslavement; (f) the transhumanist agenda of population mind control through nano-weapons, emf and other weapons. There is no statute of limitations on murder. Imposition of heavy criminal penalties for violation and astronomical fines, for individuals, organizations, and nations. Webre, Alfred Lambremont, "GOOD NEWS! 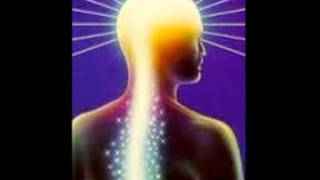 Universe singularity now emanating pre-wave energy for 'enlightened unity consciousness'"
SHIFT THE PARADIGM, LIVE STREAM FROM CANADA CITY HALL. WOW!! Sat. Nov 1 2014. Listen IN!! Wow!!! 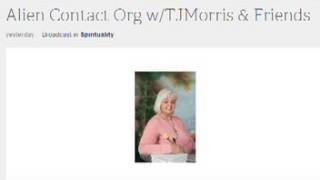 Oneness At Kingbridge is broadcasting live video on Shift The Paradigm. Log in to join the conversation! 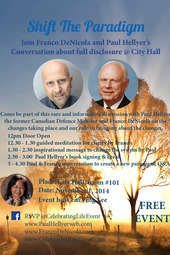 Join Franco DeNicola & Paul Hellyer as they have a discussion about full disclosure and world solutions. You are receiving this notification because you follow Oneness At Kingbridge. To stop receiving notifications like these you can unfollow this account. Elizabeth Diamond is a Nurse by trade, She has been swept up in the title wave of Awakening, & is Now choosing to be a bridge in helping Awaken Humanity. She hosts a Show every Sat. 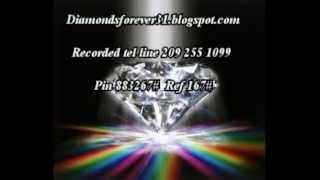 Diamonds Forever 31, were we Learn "Who We Really Are", & Go Beyond Awakening, alnog with MANY very special show guests, Who expand our Reality. She also Hosts a Blog (Diamondsforever31.blogspot.com), were she posts World Changes, ET's, & sharing Knowledge to initiate in growing into OUR unique Diamonds, of Who We Really ar! OUR MISSION TO AWAKEN THE HEARTS OF ALL OUR BROTHERS AND SISTERS., & Going Beyond Awakening!! jOIN US every Sat. 1pm Central, 2pm Et & SATURDAYs at 1 p.m. Central. The call in number is 209-255-1000 (or)+1-424-203-8405 pin 883267#. YOU ALOT. 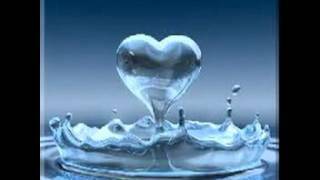 Blessings of Love Peace & Joy turning to Bliss!! to YOU, Keep Shining Diamond.!! !